The urban structure of Kretinga city, which was planned in the XVII century, is now altered and it partially lost its original composition. Town Hall has disapeared, the character of the squares layout itself has changed: a part of it was used as a Town Hall, while the other part was converted into a square, thus ruining the open urban space. After conducting an analysis on the current state of the square‘s recreational-architectural environment, the identified problems were as follows: the functional use of the square; existing car parking area in the central part of the square; the multifunctional use of the square. When giving square arrangement proposals, the goal is to form a space that is both aesthetically attractive and can satisfy the needs of today’s visitors, which would allow for a variety of short-term leisure activities. Urban public space is one of the most important components of urban structure, reflecting cultural life of urban community, social consequences. Theatre access area is a specific, viable, particularly frequented by the public space. The spaces of theatre squares of the surveyed cities (Kaunas and Minsk) were designed in prestigious parts of the cities and cohered to representational theatre buildings. The analyzed in the article spaces of theatre environment are compared by examples of the creation of spaces, their organization, and artistic actualization of small architectural elements. This article provides a review of the creation of famous French landscape architect Edouard André (1840–1911) and its former collaborators from E. André’s landscape agency. The article is prepared according to the data collected by the authors. The experience of public green spaces – parks, squares and promenades – development and its consistent patterns are highlighted – to acknowledge these important for the further development of park and garden art, town planning, and cultural heritage protection in Lithuania. This article provides a review of the creation of French landscape architect Henri Martinet (1867–1936), former collaborator in E. André’s landscape agency. He had worked in own country, also in Bulgaria and others. His proposed landscape transformations to imperial Shinjuku Goyen Garden in Tokyo, Japan and other cities are described and judged. The article is prepared according to the data collected by the authors. The experience of public green spaces – parks, squares and promenades – development and its consistent patterns are highlighted – to acknowledge these important for the further development of park and garden art, and cultural heritage protection in Lithuania. Fight for years in Germany and Poland, the debate on the legitimacy and form of commemoration the fate of displaced persons has revealed the selective nature of the national collective memory and the magnitude of the problems that resettlement has left in the minds of generations. Selected and properly highlighted facts make the common (national) memory of the past. However, selective look at past times may cause that in the neighboring countries and nations nurtured a different "truth" about past events, and stories – each nation - in its overall expression might contradict one another. This situation is clearly visible on the Polish-German border, in the so-called Eurocities (pol. Euromiastach). Then there are the differences of civilization, culture, economy, sociology, and of many others. Observation of the outstanding problems related awakens the desire for action to help solve them. The role of architects, as those most prepared to shape the space is very important. By controlling the border cities of degradation processes, we can make the people living in more satisfied, so more open for changes. The state of the master zones planning in most of the Polish cities leaves much to be requested. It not exists from both directions – from the perspective of rational grounds management and the accompanying its infrastructure and to create a friendly environment for the work, leisure and residence, characteristic of dense social environment of today urban organisms. It is easy to observe processes often chaotic spreading suburban areas with parallel progressive resulting degradation of the downtown and the old industry districts. Detroit has been described as an “urban prairie” a city reverting to nature. In 2009, the new mayor of the city, Dave Bing, chose to embrace urban farming as part of a new land-use plan, working with local residents and investors to realize a green city of the future. This paper examines the events that led to the decline of Detroit after it reached its peak population in 1950, and the efforts made to cultivate the city through urban farming. In particular, the new land-use plan from the comprehensive plan entitled Detroit Future City, published in 2012. The author looks at the competing interests as well as attempts at civic outreach by the municipal government to realize this new plan by the year 2060. Detroit has become an urban laboratory for a variety of urban farming initiatives, drawing attention from around the world. The success of these initiatives depends greatly on the city’s ability to adopt and modify its land-use plan to the changing needs of the city. The article describes modern reworking of historical public parks founded in the 19th and early 20th century in Podlasie. When these works are conducted with due respect to the parks’ historical value they give us a chance to preserve their identity and key role in their cities. The article focuses on the formal and functional changes to the historical public parks in Augustów, Bialystok, Lomza and Suwalki, as compared to similar works done in selected Polish cities. Flower beds decorations depend not only on the selected floral diversity. Nowadays flower beds are simple geometric or free-form and simple composition. Before choosing the form of flowers and flower garden, it is first necessary to assess the environment in which it will be projected. The article deals about the flower beds installed in urban greenery and floral decorations variety. There are an overview of the flowerbeds in the parks, squares, plazas, their composite ideas, selected assortment of flowers and composition principles. The assessment was made on the basis of 10 years period (2005 and 2014) changes of the flower beds in Klaipeda city. There was used archival material. The article deals with the phenomenon of urban farming in the context of sustainable development and landscape architecture of the city. The first section presents the review of the experience of urban farming, the proposal for classification of this activity and the assessment of different types of urban farming from the point of view of sustainability. The second part is devoted to the analysis of one of the most sustainable types of urban farming, which merges ecological farming, heritage preservation, formation and maintenance of cultural landscape and education of society using the example of Domäne Dahlem’ manor residence-ecological educational urban farm in Berlin, Germany. Lately there has been increasing interest in Chinese, Japanese and other exotic cultures in Lithuania. Unfortunately, while working basic mistakes are being made, which are caused by lack of knowledge on basic historical garden design. Famous Japanese gardens – this is just one part of eastern culture subtle aesthetics, philosophy and way of life. The purpose of a garden according to Japanese understanding is clear – to improve the quality of life, help feel the balance between spiritual and material living, experience harmony. In 2014 from November 13th to 23th, Klaipeda University professor Petras Grecevicius went on internship to Kyoto city in Japan, where he met with the experienced landscape artist Yasuo Kitayama, who has a lot of experience in historic Japanese garden design. During the internship 22 classical gardens were researched, where their spatial structure, aesthetic basis and composition features were analyzed. 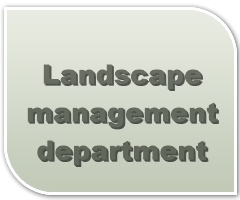 This article analyzes the subtle compositional features of Japanese gardens and the methodology of main element use, general experiences during internship, that can be useful for Japanese garden developers in the Baltic region. The interaction between integrated management of urban architecture policy issues and development of the material environment design is an important topic to explore to achieve environmental, economic and social sustainability. Coexistence and harmony, innovative teaching methods become important factors. The goal is to reveal practical applications of the problem based on integrating the variety of concepts for developing urban structures on the macro level, and also, creating a material environment design on the local level. According to the academic community, sustainability, phenomenology philosophy methods can be an effective and meaningful tool, which would help developing city spatial structures and material environment design. According to the European Urban charter, one of the major principles for forming European urban green spaces is the incorporation of natural resources into the ecologically efficient system, especially in densely built-up areas. Nature and the city do not have to be complete opposites, on the contrary, they have to form unity, because green space and landscape management programs are the main city management elements, that affect urban air quality and climate (European urban charter, 1993). According to the planning law of Lithuanian Republic public spaces are the element of spatial structure of residential area of the urban area, which is designed for the general interests of society. The definition of public spaces has a broad meaning, therefore when analyzing spaces in the historic part of Klaipeda, it is best to limit to parts of green spaces - squares. The article analyzes nine selected public spaces (squares) in the historic part of the city of Klaipeda. Well organized infrastructure of rivers‘ tourism can become an attractive cultural-cognitive activity. The net of the Lithuanian rivers is favorable for river tourism and recreation. The National water tourism routes special plans, scientific studies, Municipal general plans regulate the development of tourism infrastructure but do not allow to use it for cultural tourism. It can be argued that the opinion of professionals, local community members, as well as of cultural tourism and water users is not always taken into account. Also, there is no identified degree of security, which is especially important in assessing the needs of Lithuanian inland tourism development opportunities. Due to the fact that rivers perform not only connection function, but also join territories of different size and functions, also reflect surrounding nature, it is extremely important to preserve these features and to revive them while modernizing recreational environment. In the period of 2010 – 2014 7 parks and squares with decorative greenery were explored in Alytus town: City garden, College park, Youth park, Resort park, Likiškiai park, Old town and Alytus I square. According to the structure of the plan, these greenery can be grouped as follows: geometric structure of the plan - 3 places (City garden, Old town square, Alytus I square), mixed structure of the plan – 1 place (College park), landscape structure of the plan – 3 places (Youth, Resort and Likiškiai parks). Totally, 128 species and cultivars of introduced woody plants (Pinophyta – 14 families and 14 genera, Magnoliophyta – 58 and 42) are growing in the city parks and squares. Best represented families are: Pinaceae Lindl. – 17 taxa (12 species and 5 taxa of lower rank), Rosaceae Juss. – 28 (17 and 11), Aceraceae Juss. – 7 (3 and 4), Berberidaceae Juss. - 7 (2 and 5), also Salicaceae Mirb. – 7 (3 and 4). The most valuable places in terms of landscape architecture of greenery are College and Resort parks. The reason is very thankful and natural frame: alongside flowing the river Nemunas, wonderful view prospects, impressive slopes of the river Nemunas, old natural greenery. Reconstruction project of Marijampole center public spaces is almost complete. There are reconstructed J. Basanavicius Square, Old Town, Vytautas Park, Poezija Park, historical Kaunas Street (former Warsaw tract), areas of Rygiškiai Jonas Gymnasium and Rygiškiai Jonas Park. In order to regenerate town central part there is created system of public spaces modernizing and revitalizing its separate parts and maintaining their distinctive functional, morphological features and semantic content. The aim of the article is to evaluate reconstructed Marijampole center public spaces in the context of dimensions of sustainable development. Assessing reconstructed Marijampole public spaces system and its individual elements, the analysis of literature sources and generalization is performed, methods of multi-criteria and fractal analysis are used. System of public spaces is evaluated according to the proposed criteria of sustainability of public spaces (ecological balance, character and distinctiveness, definition and enclosure, connectivity and accessibility, social integration, adaptability, inclusiveness/multifunctionality, biodiversity, central places, sunny places and shadow); fractal indexes of public places system and its individual elements are established and compared. The objects of this research work are three plant species of the genus Iris L. (Iris pumila L., Iris hybrida hort., Iris spuria L.) growing in VMU Kaunas Botanical Garden during 1993 – 2010 which differ in earliness of vegetation and flowering. Early type – Iris pumila; medium late – Iris hybrida hort., late type – Iris spuria and trees – Fraxinus excelsior L., Aesculus hippocastanum L. annual radial growth. Research results show that different varieties of irises start phenophases associated with winter, spring and all the hydrological year average temperatures and precipitation levels. The most predominant are negative correlation coefficients with temperature and precipitation. The lower the levels of temperatures and precipitation during the periods mentioned above the later vegetation of researched irises is, especially in the beginning of winter vegetation (r> -0,50, t = 1,9) and spring temperature (r> -0,69 t = 2,9), i.e. former pre-vegetation conditions have a greater impact than the growth during the follow-up. The assessment of vegetation and flowering of irises’ phenophases and deciduous trees radial gain dependence on climatic factors, habitat lithological composition and the depth of water occurrence enables to estimate climatic factors more precisely that largely determine the future size and growth at the same time predicting the forthcoming radial increment width and the beginning of irises’ phenophases as well as specify reliability of natural environment prediction. Flower beds play an important role in public spaces; they have a positive effect on human health and emotions. The article discusses selection of the assortment of flower bed for the public spaces, taking into account the specificity of types of flower beds and the plant characteristics: decorativity of leaves, flowers, fruit, bunch, and duration of flowering and decorativity. Plant genus is presented by the duration of decorativity, relevance and applicability. Predominant types of flower beds in public spaces are determined. Analysis of flower beds established in the previous year in educational institutions of Šiauliai city showed that the most common types are flower beds, flowerpots and rockery. Therefore, in case of Rekyva school of the city of Siauliai the territory of which is hilly, there was installed mixborder. In 2014, 15 different species and varieties of plants suitable by their biomorphological properties were selected for mixborder, 7 of which were of medium adaptability with narrow potentiality of adaptability, however decorative and very decorative plant species. In Lithuanian conditions, the decorative perennial plants with large ecological adaptability are few. Therefore, when planning a flower bed in public spaces the other criteria such as compatibility, flower bed form are also important. in public space flower beds important other criterion such as compatibility and flower beds form. With increasing demand for perennial flower beds, it is necessary to expand the assortment of urban green areas, creating an aesthetic value. Article is about importance of selecting perennial plants for flowerbeds according to local ecological conditions. Recent trend of naturalistic planting of perennial plants in foreign countries has not yet reached public spaces of Lithuania. While choosing perennial plants for public spaces it is very important to determine suitable habitat by bio-ecological specifications and technological needs. Only then the flower-bed is guaranteed to be long lasting and decorative. Analysis of global experience of creating and maintaining perennial flower-beds shows that creation of such kind planting is also economically useful. The main principles of selecting plants for specific place are based on their grouping, pH needs, fertility of soil, amount of light, humidity etc. In 2014 in Siauliai City on the shore of lake Talkša flowerbed was created with 8 different species that were observed in the research. These species are new as a planting material in public spaces and they are selected due to earlier mentioned specifications. All selected plants that were planted on a conjunction of pedestrian paths will fulfill their mail role as a decorative element and will perfectly fit into natural environment. The article analyzes aspects of the sound sense in the experience areas landscape planning. There are presenting the influence of the sound sense to experience areas landscape planning. There are analyzing the possibility of use of the sound sense and woody plants ornamental quality in the planning of different kind of visual and emotional experiences areas landscape. The evaluation of cold hardiness of different strawberries varieties under altered conditions is discussed in the article. Strawberries have an important role among berry plant in the world. In order to pursue the aim, the relationship between the nutrient agar medium with plant status during the chilling time was analysed. In order to assess the cold hardiness of different strawberry varieties, the investigation was carried out. In the article is presented critical temperature of different strawberries varieties by differentiating them according to cold hardiness. There are presented results of research performed in 2004 and in 2012 in parterres in Southern Swedish cities: Karlskrona, Ronneby, Karlshamn, and in Kristianstad. It was identified a total of 48 of annual and perennial flower species: in 2004 – 39 species, and in 2012 – 44 species. The greater variety of flowers was identified in parterres, which were equipped in public spaces dedicated for rest, but not in areas dedicated for mass events. During the investigation period the most widespread were Ajuga reptans, Aubrieta x cultorum, Begonia spp., Hosta spp., Lobelia, Petunia (from 26.7 to 60). The highest species diversity divorced Sedum genus. This article analyzes the particularities of forming urban public spaces in Lithuanian national parks. After declaring Independence, great attention was paid to the development of state’s parks and landscaping plans for projects and their legislation creation. When designing and shaping spaces reserved for conservation, vision for further development, it is necessary to take into account the needs of society. No less important are the sustainability, integrity, aesthetic and social value of the spaces and natural and urban environmental of natural and cultural heritage. The legally defined concept of public spaces in cities or villages cannot be an applicable subject to state’s parks and spaces, or composition of three-dimensional structure elements. Varietal composition of trees in Lithuanian urban sites is outdated and out of sync with the needs of modern city. There are many new tree breeds out there in the market, characterized by more compact crowns and higher persistence to pests, diseases, traffic-caused air pollution, compressed soil etc. The upsurge of human-related varietal migration poses a necessity to establish a set of criterions for their proper selection. To ensure stability of urban vegetation framework, trees should meet high persistency standards. So far, attempts to create list of trees for urban use have not led to success. With the renewal of wayside trees currently taking force, there is an obvious need for a reliable set of tree selection methods in order to bring forth a sustainable green carcass in Lithuanian cities. In the recent years many old squares in the cities and villages of Lithuania have been renovated. Unfortunately, the correction of square plan, adaptation to contemporary needs of beauty and exploitation is not aimed during such renovation. Two experimental design projects of squares in Klaipeda and Nida are presented, design principles and collaboration with district municipality administration is described. The industry of recreation and tourism has enough experience how to organize and demonstrate its services and products for elder people that are financially independent - they have enough income to buy and use these services/products. But it is not enough to have that kind of experience when the consumer is young. Then it is a need to have more excellence and creativeness to attract customer‘s attention and to intrigue him. Even though common principles of recreational locations and areas attractiveness formation exist that could stand for youth and other age groups. However, youth is the segmental group that has changing priorities of their needs, ambitions, physical and spiritual improvements. These priorities are dependent on different factors. In the article these attractiveness aspects of environment and recreational activities are analyzed that are revealed in the changing era, social-economic environment and those which could be divided into ascetically and physiological-emotional ones. In the article the trends of youth recreation, the matching of its forms of organizing to young people values, expectations and certain environment are analyzed. This article summarizes the results of a research which was done in 2009-2014 to assess the condition of newly planted woody plants in Alytus city. 5 species and 8 cultivars growing near the streets and 16 species and 9 cultivars growing in recreational greenery were monitored. The best condition were Sorbus intermedia 'Fastigiata', Acer platanoides 'Deborah', 'Eurostar' and 'Columnare' trees also Spirea spp. and Berberis thunbergii bushes which were growing near to the Streets. Aesculus hippocastanum 'Baummanii' grow worst. In recreational green plantings the conditions of most plants species and cultivars were good. Early information on researches of Tilia L. genus plant state is considered to be year 1926, when sooty mold was described by V. Vilkaitis. K. Brundza (1932) detected Helmintosporium velatinum on linden branches. In 1936 M. Michalski described Mycosphaerella microsora. Sprout vanishing causes (rarely appearing) were described by L. Žuklys in 1968. A. Minkevicius (1950) explored fungi causing leave, branches, stem diseases, although J. Mazelaitis’ (1958, 1960) interest were branch disease causing fungi. Since 1978 until 2006 the group of plant protection scientists of Kaunas Botanical Garden of Vytautas Magnus University headed by V. Juronis studied sucking pests, relevant linden fungal diseases and physiological injuries at Lithuanian cities green plantations, later on work was continued by K. Žeimavicius, V. Snieškiene, A. Stankeviciene. Since 2002 prof. V. Stravinskiene et al from the Environmental Protection Department of Vytautas Magnus University investigated the influence of biotic and abiotic factors, injuries of physiological origin and other. S. Stakvileviciene (Institute of Botany, Vilnius) carried out investigations on biology and spread of Mycosphaerella microsora since 1998. A. Treigiene et al (since 1999) described Ascomycetes, Hyphomycetes, Coleomycetes class fungi detected on linden leaves and branches. A. Treigiene, S. Stakvileviciene, B. Grigaliunaite et al investigated the biology of most substantial linden diseases at various Lithuanian greeneries. In 2010 V. Meškauskiene defended dissertation on the issues of linden pathogen spread and biological features. R. Nekrošiene investigates the phytopathologic state of linden growing on the West of Lithuania. The article gives an overview of introduction studies of linden plants (Tilia L.) at Kaunas Botanical Garden of Vytautas Magnus University: plant variety and state in 2014. Currently described 16 taxa plants: 9 species, 4 varieties, 1 subspecies of the genus Tilia in collection. Also agents of fungal diseases (sooty mold agents, Mycosphaerella microsora, Apiognomonia errabunda, Didymosphaeria petrakiana) and pests (Eucallipterus tiliae, Caliroa annulipes, Phyllonorycter issikii, Schizotetranychus tiliarum, Eriophyes tiliae-nervalis) are described. The paper presents the Baltic Sea coast (from the northern breakwater to Giruliai) changes from 2012 to 2015, clarifying and supplementing the spatial data set of the Baltic Sea coast of the year 2012-2013. The carried out comparative analysis of the spatial data set of 4 km stretch of the Baltic Sea coast (northern breakwater – Giruliai) of the year 2012 – 2015 showed that the Baltic Sea beach decreased by 0.2828 ha in 4 km stretch of the coast, the stretch of coastline in Melnrage I the area has moved more than 10 m inland, in Melnrage II the area has moved from 10 m up to 23 m into the sea, and in Giruliai area – in some places 15 m into the sea, in some places 15 m inland.